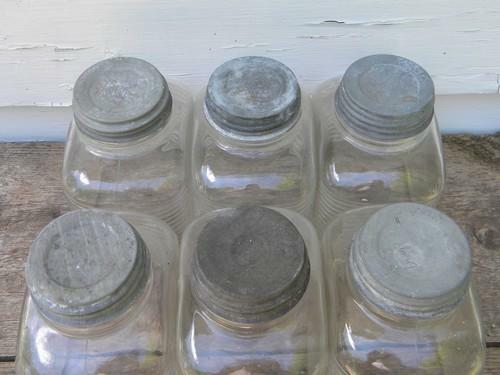 Lot of six old hossier vintage glass storage jars with zinc lids. 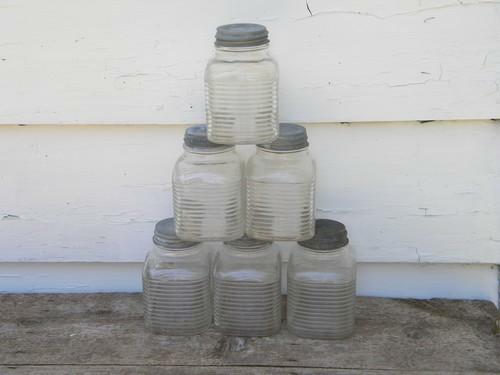 These jars hold about 2 1/2 pints (5 cups or 1 1/4 quarts) each and measure about 6" high over the cap, 5 1/2" deep and 4" wide. 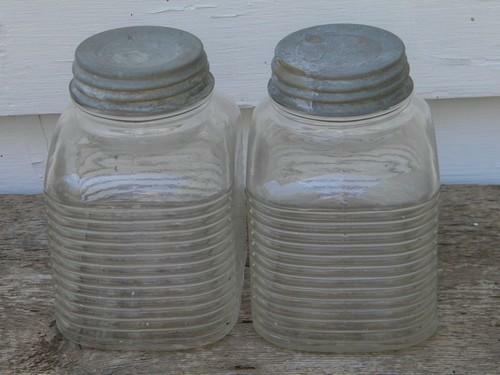 These jars have deco ribbed ends and one of the flat faces is smooth for a pasted on paper label while the opposite face is textured. 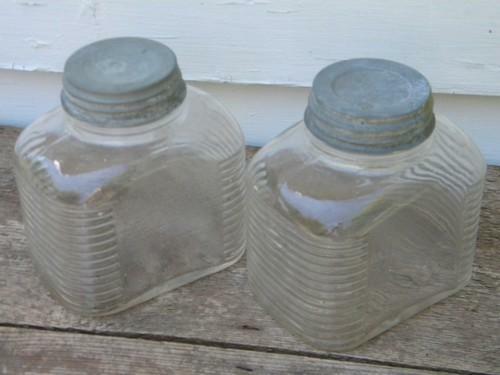 Nice canisters for your pantry cabinets or refrigerator.